It was at the beginning of March, that I launched my Etsy store and asked you to join me in bringing an orphan home to his forever family. So many of you, without any notice or connection to the sweet boy we hosted, jumped on board and partnered with me right away. Unless you had seen the "Shop" link to nowhere that appeared at the top of this blog in August, you may have been fairly surprised by what seemed like a sudden leap into the land of creative entrepreneurs. This desire had been something that had been marinating in my heart for years. Like with most things there's a back story. I could tell you how long I agonized over releasing my art into the world or how the only thing that could push me to the point of pushing the "brave" button and going live with my shop rested in the hands of a young orphan boy. But that story is for another day. What I want to say is that you've made a difference. Not just in the life of a young boy or the family of five adopting him, but in my life as well. You've shown me that my dream of making art that invests in eternity can make a difference. Going forward I'll be sharing more the story that got me to this point as well as the stories of other artists. And each month I'll give you the opportunity to invest in a new church plant in the US. Make a purchase. 50% of all sales through midnight tonight go to the adoption of our sweet boy. Some items are as little as a trip to Starbucks and nothing is over $40. I'm so thankful for your partnership. Please let me know in the comments below how you'll be joining with me in these final hours to see a life changed. "She is small but mighty." Her words echoed in my head. I loved them. But did I believe them? Could I matter? Could I make a difference? And who defines all this mattering? If my identity is truly in Christ than isn't the deal sealed? Don't I matter already? Before I do anything? Before I share my art? Write my heart? 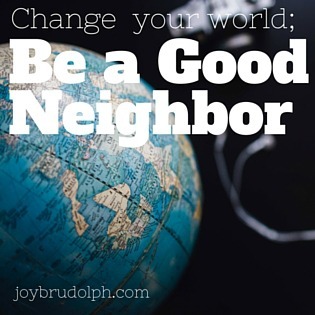 Change the world? And I wonder if that makes the difference? If you believe who He says you are is who you really are then are you the free, more able to live your dreams? To make change? And if your dream is being a mama or a writer, a barber or a crafter well they're all God-sized dreams. They are mighty. They matter. Because you matter. Your heart, your life, is big. Because He takes the smallness of us and envelopes us in His bigness. His righteouness. His old made new. Broken made well. Brusied and bleeding made bright and sparkling. And He cares about orphans and widows. Prostitutes and homemakers. He cares about you. And that is mighty big caring. Mighty big love. So let the world say you are small. Or big. Their definitions don't matter. You already have everything in Him. "Motherhood is not a competition to see who's baby weighs more, or walks first, or sleeps through the night, or gets into the right college. Motherhood is a holy grueling work of being refined by the fire of sleep deprivation and fear and courage and catching yet another round of the stomach bug and still showing up for that recital." The host of Five Minute Friday, Lisa-Jo Baker's, book comes out Tuesday! 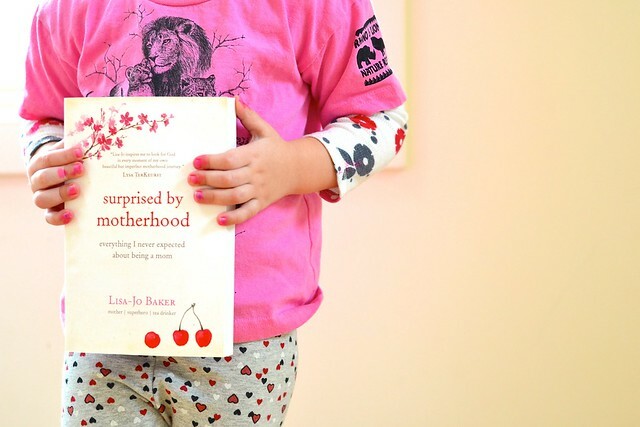 Subtitled, Everything I Never Expected About Being a Mom, it's for all mamas everywhere. But especially you if you're worn out and tired or just needing to be reminded that you're not alone. Pre-order it here. motherhood is not a competition to see who’s baby weighs more or walks first or sleeps through the night or gets into the right college. On Fridays I join a community of writers that write on a prompt and encourage one another. Oftentimes I use this time to process what's going on in my own heart. Interested? Join us here. At the beginning of the month I asked you to partner with me to forever change the life of a young boy that we hosted in our home in December 2012. First of all, thank you, thank you, thank you, to those of you who have already made purchases, shared the link and gotten others involved. It's hard to believer that this month will be coming to a close next Monday. I have been truly blessed and encouraged by your support so far. But there is much to be done between now and the end of the month. I know God can do amazing things with limited time and resources, and a few willing people. That's what I'm praying for now. Consider making a purchase. Some products cost as little as a trip to Starbucks and nothing is over $40. From every purchase through midnight March 31, 50% of the sale will go to bringing our sweet boy home to his forever family. Pray. Pray that God would move on people's hearts to give generously and that He would multiply the funds so the family can complete the adoption process and bring our boy home soon. Personally invite others to participate. Personal invites make all the difference in the world. Would you consider writing an email, sending a Facebook message, etc. asking those you think might be interested to join us? I'm so thankful for your help, support and partnership in this journey. Let me know in the comments below how you plan to partner with me. 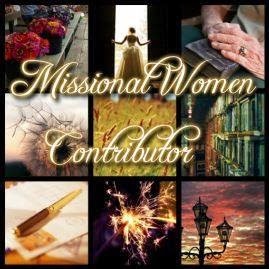 She wrote about how she stewards her time and she stood by it. It was good advice for an introverted, entrepreneurial, non-morning-person. But the other side of efficiency is workaholism. When she worked a job that sucked her very life from her body...Well, it was easy to have hard boundaries that include a solid quittin’ time and weekends. But when you love what you do? Well, that’s different. And she found her boundaries falling at the wayside. 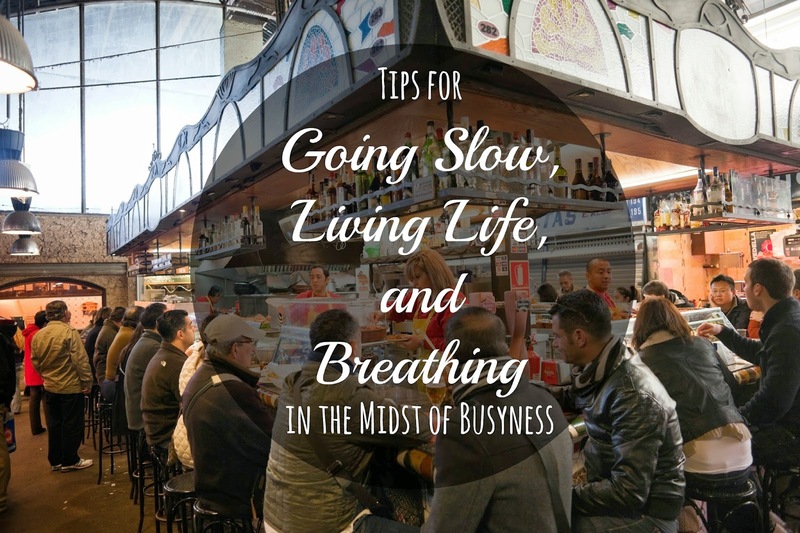 She wasn’t eating regularly, not taking breaks, and most of the time her mind was so full she was barely breathing. But most importantly she was sacrificing the things that mattered most. She hadn't had coffee with a friend in how many weeks? She sacrificed what were once much desired days off with her husband for productivity. She even put him to work. He felt useful. She felt like she was using him. And she hated it all. She hated herself. The person she had become. Her lack of margin, joy, stillness. Even when she was “off the clock” she found it hard to slow her brain. Always thinking of the to-do list or brainstorming the next great idea. Most of all she was beginning to hate this life she had prayed for. Her passions were running her dry. As in most stories like this she was forced to stop. Her body shut down. 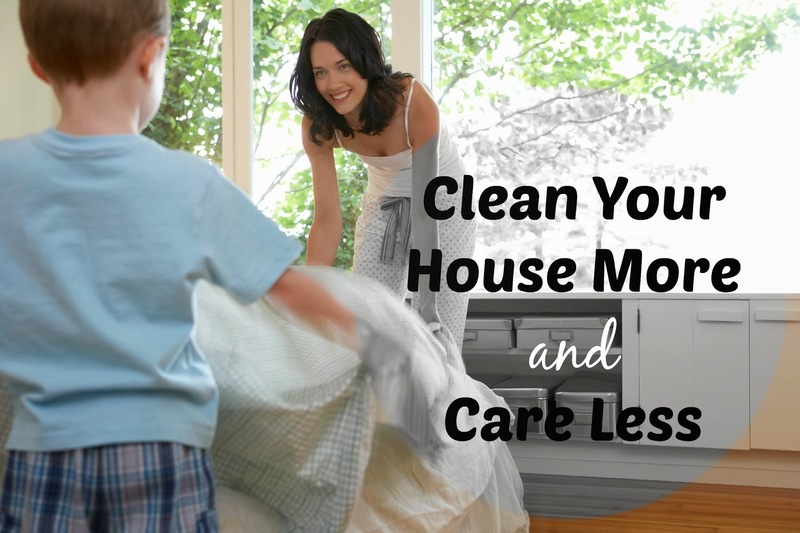 Filled with germs that come from an immune system weakened by going too hard for too long. She was forced to spend days on the couch. And even then she tried to work in spite of it all. But slowly as the fog began to lift she realized both lives were a farce. She hated the idleness of being forced to rest by sickness and she hated the insanity of going so fast she had no time to choose rest. So she asked herself, how can one be both productive and slow? Efficient and at peace? Live a full life and have time for really living? Incorporate times to slow throughout the day. You know what will work best for you but this could include an actual lunch break where you unplug from all the screens in your life. Or afternoon tea. Or a reading break. Implement a quitting time and stick to it. Whether your day starts early or late you need to know when it ends. 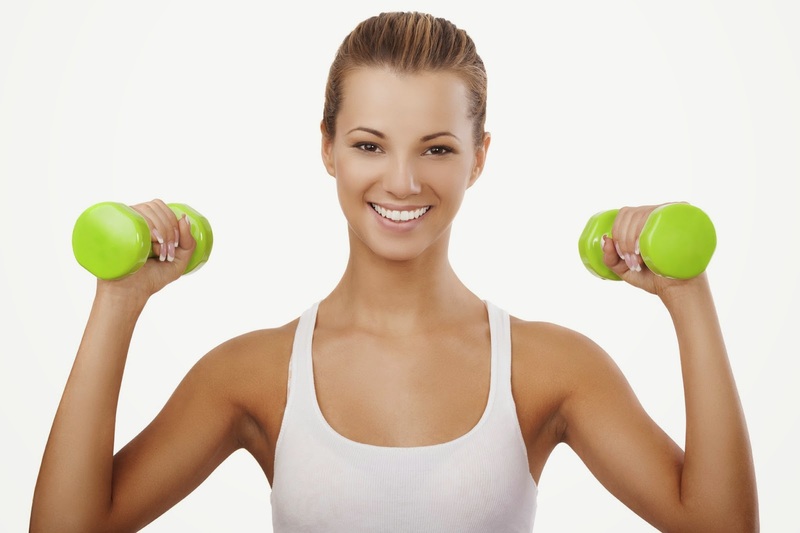 Whatever time you choose maybe add in something that signals to yourself and your brain that the work day is over. What about a glass of wine, a bit of dark chocolate, or a quitting song you listen to as you prep dinner or walk around the block? If your schedule tends to be chunks of time instead of full days, make sure in your off times you’re really off. Do the opposite. Because I am prone to work alcoholism my instinct is to always fit in one more thing, check my email just one more time, etc. What I am usually never prone to do is take a bubble bath. For me it is wise to begin running the water as soon as I feel compelled to work beyond my boundaries. (Truth? Self-care is one of the harder areas for me). 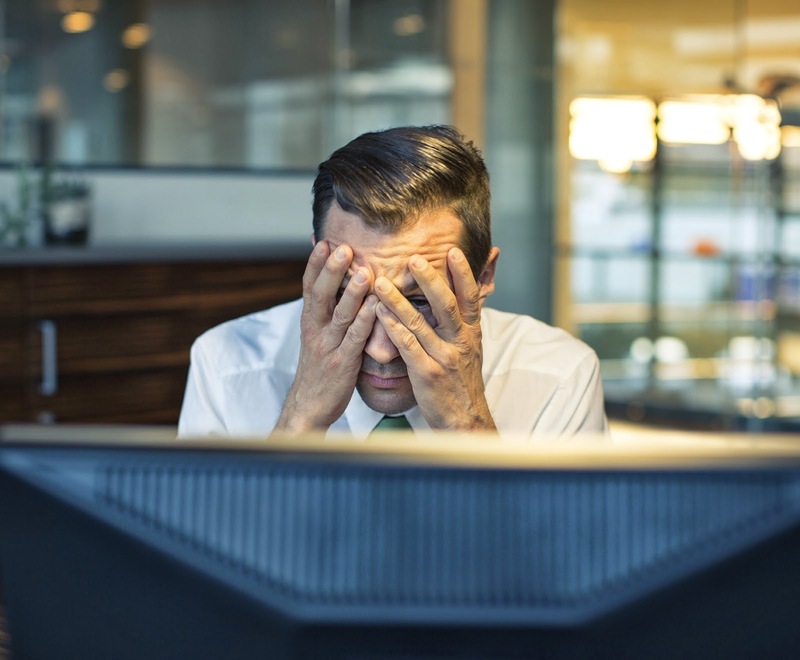 Whatever your opposite is, consider doing it when you feel compelled to overwork. I could keep this list going by telling you to include nature, make art for yourself, and included your loved ones in this process. But three steps is a good place to start for those of us who already work too much. I’d love to hear how you set boundaries, go slow, and practice self-care in the comments below. In wasn't until this past September, that I began opening the boxes that contained his things. They were the remnants of what had survived the first purge. Right after he died I went through most everything. Giving the obligatory things away to family and friends, trashing the rubbish, and holding onto everything else that didn’t quite fit into a category. Some of which I was too afraid to live without. Afraid that throwing things away, like that nearly empty bottle of cologne that smelled of our early dating days, would somehow be throwing parts of him away as well. When I moved from the house we spent most of our marriage in together I couldn’t even pack up those remnants on my own. I delegated that task to a friend and the woman who would become my new mother-in-law. I lugged the whole heap of boxes to three more homes in the course of six years. My current husband full of grace, because he understood. After all, when I lost Darryl, he lost his best friend. I started off strong that September day. I thought it would be enough to soldier through old memories, familiar smells, and things long forgotten with the impenetrability developed over the six (longer than they should be) years. I was wrong. Somewhere in the middle I couldn’t do it anymore. A cloud of grief hung over me. And the tears began to sting my eyes. I got as far as I could and left the task undone. I don’t know when I’ll face the rest of those boxes again. Grief is a weird thing. I wish I could tell you of all the progress I’ve made over the years but the truth is that I still have so far to go. When it comes to grief I believe you can’t get it right or wrong. For the most part you just have to do what works for you. For most of us this requires a good counselor and a solid community of friends. It was quiet here the last week in February. February 29-March 22, is always a weird time for me. It always huddles around Spring and Lent. I’m never quite sure exactly how to memorialize these three weeks from the time of Darryl’s motorcycle accident, through his coma, and to the morning of his death. Some years I am good at remembering it all well and some years if I just plant one marigold I count that a win. On March 23, something unique will happen. Darryl will have been gone longer than we were together. I don’t know what this means for my grief or for going forward. 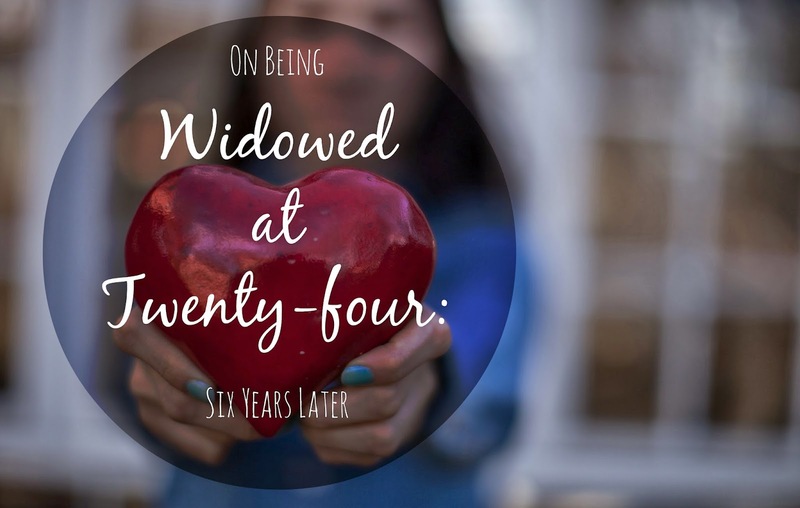 Somedays it’s hard to believe that I was married for three years and then widowed at twenty-four. Other days I realize how much Darryl’s life and our marriage shaped me. So as we approach this six year (I still can’t believe it) anniversary of Darryl’s death, would you pray for me in the midst of my mourning? And I’ll pray that God would meet you in the midst of your grief over whatever hardships, suffering, losses, or struggles life has brought you. Because, the truth? Pain is the one thing we all have in common. I felt it pressing in all around me for weeks now. My schedule, my to-do list, my full plate. And one weekend getaway won't fix what's broken. No, this is a systemic problem. That I don't know where to begin to fix. And I knew sooner or later my body would rebel. "Too much," it screamed! And so I found myself having to disregard my list, relegating myself to resting and only what could be done from the couch. And even on the day I was certain it was coming I overbooked with back-to-back meetings. Not enough time for either. All day, going strong, neglecting my husband on our day off together, fighting my body, and breaks, and slow. And when you think you can't possibly slow down you find it impossible to do the things you thought were ultimate. You remember that life is not an emergency. That there is a choice between good and best. And hopefully you won't end up back on this couch a month from now. Hopefully you'll place value where it belongs and let the rest fade away. Not letting the tyranny of the urgent crowd out your very life. In the month of March, I'm giving away 50% of all sales from my shop to forever change the life of an orphan (whom we hosted in our home). Would you consider partnering with me? On Fridays I join a community of writers who encourage one another. You can join us here. Not too long ago I found myself thumbing through an old magazine. I stumbled on to an ad depicting a party scene. I can’t remember what the ad was trying to sell, what struck me was the source of the celebration: a rogue sock found. At first glance the cause for celebration seems trivial but the ad resonated with me. I haven’t been able to get it out of my head. In America we have much to celebrate and too often we take everything, from the food in our fridge to the gas in our car, for granted. When I look at European nations that think breathing is a good enough reason for a glass of wine, I’m convinced we may be missing something. One of the things I love about food is not only its potential for unifying, but also its ability to help us remember. Beyond fresh flowers at a party, most people will forget all the effort put into decorations. They may event forget the venue or the occasion. What people remember at parties is the food. When my husband, Jason, turned thirty we had a Cigars, Coats and Cocktails party. The menu centered on "man-food". We had incredible ham and Swiss sliders smothered in a delectable sauce, the kind that runs down your arm and makes you thankful for it. There were my Asian inspired cocktail meatballs, an exceptional cheese spread, and unlimited cocktails among other things. It was a night of dancing under the stars and enjoying some of life’s finer things and everyone left satisfied. Every year we host a Cinco de Mayo party complete with Jason’s famous steak fajitas, guacamole and margarita recipes. Add in cilantro lime rice, refried beans, and Mexican-inspired cheesecake and no one leaves hungry and everyone remembers the meal. When I turned thirty I planned the party for nearly a year. But I most looked forward to the menu I had orchestrated with a caterer friend. There was Mediterranean chicken complete with plums and olives, duchess potatoes, an overflowing bread basket and the kind of salad that makes you go back for seconds. Top that with a white sangria perfect for a summer party in Florida and a dessert bar, and you have a meal that I found myself dreaming about months later. Unfortunately, bad food helps you remember too. That restaurant that was once good but didn’t live up to the standards of the early days of opening. The overpriced place down the street with the fancy wording and nothing to back it up. Or there was the year of the Super Bowl party with what may have been the worst menu of all time. There were were roughly 20 people with food for 5 at the most, and the majority of it had come from the microwave. It was the first year I’d not made some of my game day standards and I still regret it to this day. The blow of a rough game can be eased by an expertly crafted panini. And the joy of a win always tastes better with a cocktail in one hand and a bacon wrapped date in the other. I’ve been looking at life differently lately. Recognizing that there’s much to be celebrated. Even in the mundane. I want to celebrate big wins like promotions, marriages, new homes, and births. But I also want to celebrate reaching the end of a long week, waking up with breath in my lungs, and yes, finding that lost sock. Years ago on St. Patricks Day I had a cupcake from a local bakery that was a game changer as far as cupcakes go. I’ve been dying to recreate it ever since. I adapted the recipe below from Irish Central and infused flavors of that delightful little cake into a single layer cake for a crowd. The cakes itself is definitely a chocolate lover’s dessert, high on cacao and only moderately sweet (if you’re looking for a sweeter cake substitute granulated sugar for the coconut sugar). Coupled with the sweet and boozy buttercream you’ll be able to please most every dessert lover in the room. 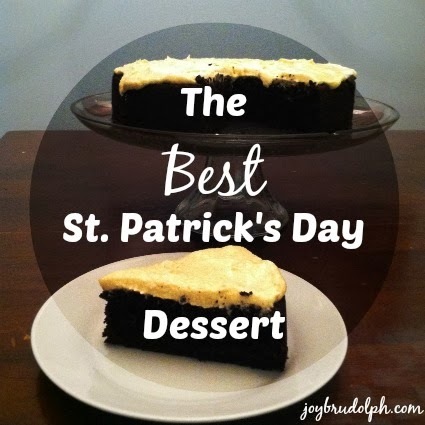 This cake is the perfect accompaniment to your St. Patrick’s Day feast. But you can also make it because it’s Tuesday, and you want to celebrate. 1. Preheat oven to 350 degrees. Grease a 9” springform pan. 2. Heat Guinness and butter in a pan until butter is melted. 3. Remove mixture from the heat. Whisk in sugar and cocoa until blended. 4. Combine the eggs, sour cream, and vanilla. Whisk into beer mixture. 5. Combine flour and baking soda. Whisk into batter until smooth. 6. Pour half of batter into pan. Sprinkle with half of chocolate chips. Pour remaining batter into pan and sprinkle with chocolate chips. 6. Bake at 350° for 45-50 minutes or until a cake tester inserted in the center comes out clean. 7. Cool in pan for 10 minutes. Remove cake from pan and level (if desired). Cool on wire rack completely before frosting. 1. Beat butter lightly for about 30 seconds. 2. Add powdered sugar and cream until smooth. 3. Add Bailey’s until just incorporated. 4. Spoon butter cream over top of cake and frost. She said it would be the hardest job I've ever done. And truth is, I thought she was crazy. On the glossy covers of God-sized dreams from the outside looking in, you never see this side of things...How when you're your own boss you're always tired. Because if you don't do the work? No one else will. Sure I have no commute and no awful break room coffee. But I also have no secretary, no treasurer, no one to delegate to. Everyday there are choices to make. Some days it's kitchen floor verses changing a life. And if I'm honest? Some days I still have to think about that one. And it's a big difference to go from running after your dream to beginning to walk in it. Everyone says if you're the boss you can make your own schedule and take days off when you want. And that's mostly true...But often I'm left deciding between the insanity of an overbooked day and that which is life giving, and self-care centered. And no one tells you that even the most boundary centered person can become a workaholic when their work is their passion. It's a constant tightrope this dream living. So when your starring down the barrel of your God-sized dream and you, feel altogether willing and altogether unprepared? That might be just the perfect moment to step into your dream. One of my God-sized dreams? To see this little boy we hosted come home to his forever family. All month long I'm giving away 50% of shop sales to his adoption. Get the details and be involved here. On Fridays I join with a community of writers that writes on a promp and encourages one another. Join us here? At the end of 2012, we hosted an international orphan in our home in hopes of finding him a forever family. This was an amazing boy that forever changed our lives and took a piece my heart with him back to Colombia. Last Spring I received notice that a couple who was friends with the then coordinator of the hosting program was adopting our sweet boy! Once adopted he will get to live as a big brother to three siblings. It has been a joy to get to know this family and they have been gracious in keeping me informed through the adoption process. The (international) adoption process has many uncertainties as well as large financial requirements. A big need currently are travel funds required for the 2-3 week in country stay required of the entire family to complete the adoption process. But you can help. In the month of March, I will give 50% of all sales from my newly opened shop to this adoption. 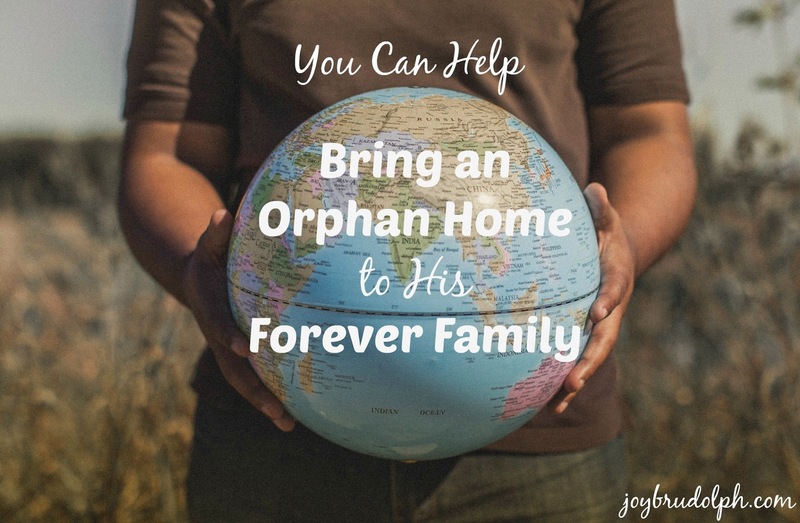 Would you please pray and consider how you can play a part in bringing an orphan home to his forever family? Some of the items cost as little as a trip to Starbucks so there's something for every budget. Also would you please share the link to this post and/or my shop with everyone you know? I believe God can do miraculous things through our partnering together. I'll be keeping you updated throughout the month on our progress. Please let me know in the comments below if you'll be partnering with me. When I had to get up early each day for a commute into the office my perspective on the day and work ahead often began on the wrong foot. I only extended "Good morning" (isn't that an oxymoron?) to my coworkers if spoken to first. Usually I would barricade myself in my office (it was in everyone's best interest) until I was forced to interact with others at 9:45 for staff prayer time. After which I was able to make conversation and interact with other human beings like a normal person. At the end of August I left my job of several years to begin pursuing the life of my dreams. As I started out my new routine went pretty well but then a personal health issue wreaked havoc on my life and left much of the rest of 2013 a crap shoot. Some days were good. Most days were excruciating either physically or emotionally. I came into the new year with hope and a real desire to get back on track toward pursuing my dreams. At the time I had a loose schedule-like thing that quickly proved to not be ineffective. 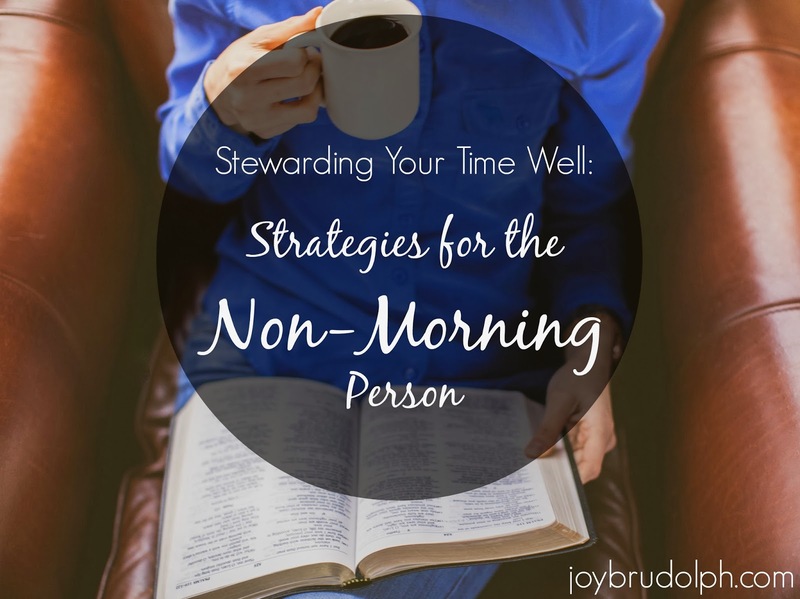 So for the past several weeks I've been doing lots of researching and tweaking and have finally found a morning routine that helps me to be maximize my time and steward it in a way that honors God. Wake with your body clock. One of the luxuries of this season of life is being able to wake up when my body is ready. What I have known for a long time is that my body will usually wake up between 9:00 and 9:30 regardless of whether I go to bed at 10:00 PM (the norm) or 2:00 AM (some Saturdays). I do set an alarm for 9:30 just in case. Because I get up later than most this also means I work later (sometimes 7:00 PM) and at other times including nights and weekends. Internet free time. After I start coffee (which is a breeze if you've prepped the night before) I set a timer for 25 minutes of internet free time. Why? Two reasons: one is that because I'm not a morning person I'm slow to wake up. The second is because I know if not kept in check I have a propensity toward internet/social media addiction. Those first 25 minutes allow me to wake up slowly and get any need for mindless entertainment or other necessary tasks out of my system. I usually read my favorite blogs, check social media for notifications (not scrolling), and check my email. In all honesty 25 minutes is more than enough time to do all of that and sometimes I have time left over. Have time with God while you eat. This is the most important part for me. I'm feeding both my body and my soul. I usually write three gifts in my gratitude journal (if practicing gratitude is new to you check out 1000 Gifts by Ann Voskamp). Then I read my Bible along with selections from A Guide to Prayer for Ministers and Other Servants. This book was one of the best gifts I've ever received. 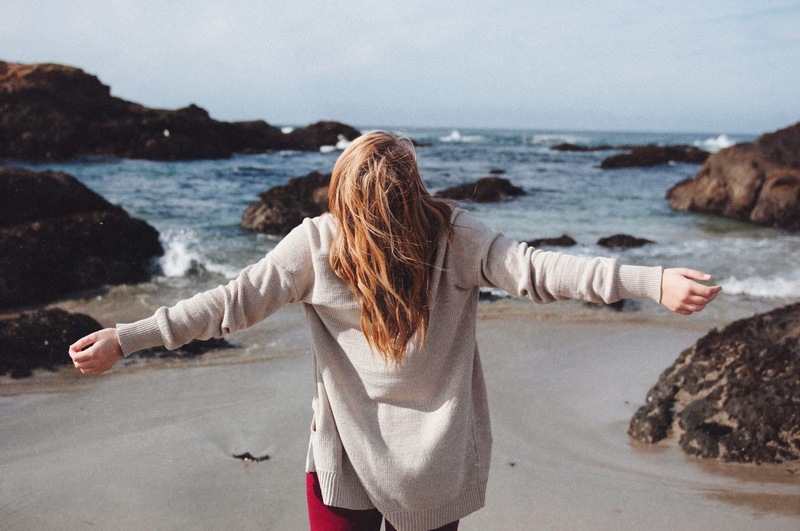 Having not grown up in a liturgical setting, following the church calendar adds an undercurrent of depth to my relationship with God and the various experiential ways of interacting with the Scripture help me be more aware of God's presence in my daily life. Light a candle. Not necessarily the type that fills your home with fragrance but the type that focuses on filling your home with light. I'm trying to make all of my life an altar. Having the lit candle is a visual reminder to me that my time is not my own and that all of my life is worship. I have some other goals each morning including Morning Pages, cleaning the kitchen and making the bed first thing, but the steps above are what give me momentum. If I do those things first and well, the rest of the day seems to fall into place. I'd love to hear how you honor God with your time in the mornings. What are your struggles and what is working for you? Let me know in the comments below.